Imagine living in a country where transporting property from one place to another could result in your property being seized by the government. The process of civil asset forfeiture makes it so the mere suspicion of a crime is enough for law enforcement officials to take and keep possessions. Law enforcement officials in this are able to keep a portion of the assets that they confiscate so the system is frequently abused. Sound corrupt? This is actually a picture of the American criminal justice system at work. Law enforcement officials in the United States do not have to prove that a citizen has committed a crime in order to take property. 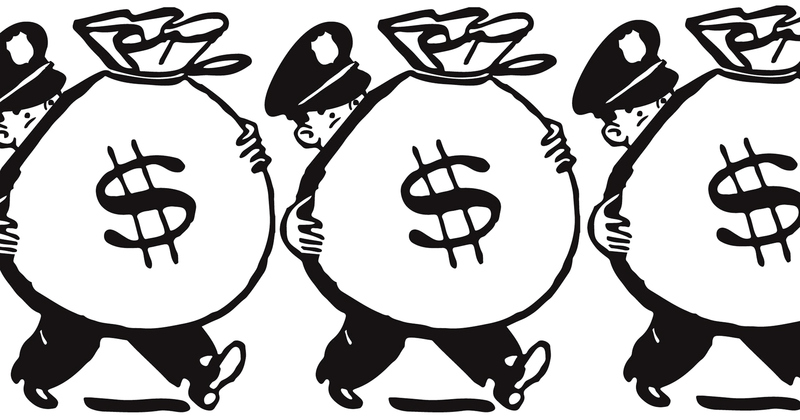 Carrying large amounts of cash is enough for law enforcement officials to claim suspicion and take whatever they deem as possible evidence. Wisconsin is considering a bill to end this injustice. SB 61 would make it significantly more difficult for law enforcement to hold onto citizen’s property after they have been cleared of criminal charges. As it stands, it is very easy for law enforcement officials to commandeer property if they suspect it could have been used to aid a crime. Wisconsin SB 61 necessitates that a person must be convicted of a crime before forfeiture can occur. “This bill allows property to be subject to forfeiture only after a person has been convicted of the crime related to the forfeiture action and only if a court finds that the property seized is proportional to the crime committed.” As the law stands, it is very difficult for citizens to get their property back even after the charges against them have been dropped. Law enforcement has a clear cut incentive to take assets from citizens; they get to keep a portion of whatever they take! This explains why some law enforcement officials seem to target large sums of money instead of actual criminals. The system is widely abused and needs to be reformed. As the bill stands it does not completely reform the civil asset forfeiture process, but it is a good first step. A country where law enforcement officials are able to take and keep American citizen’s property with little probable cause is not a free country at all. Due process is a corner stone of America and on the state level this bill would require the government to respect that right. Each and every state should follow Wisconsin’s lead and make it more difficult for law enforcement officials to take and keep property acquired by such a controversial practice.